I recently re-read a brief from about a year ago, and was quite surprised by one of the client's key requirements. 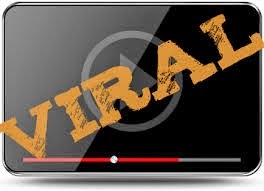 The client, a group of managing directors, wanted their campaign 'to include a viral'. There is a big difference between wanting 'to do a viral', and wanting to do something 'that goes viral'. I remember pointing out to them that viral was not a marketing channel but a result of a great piece of communication. I wanted them to understand that if we did something that was funny, engaging, thought provoking etc then people would be more likely to share it - be that down the pub, at work or ideally on social media. Only then would it be classed as viral. Whilst marketing and message was something they could control, the viral result wasn't.